Welcome to this week's The Movie Paradise Nerd Round-Up. Essentially what we do here is we take a look at all things nerdy. We break down everything in the world of nerdom, ranging from superheroes to Star Wars and every other geeky thing in between, and analyse the smaller bits of news that weren't big enough stories to necessarily warrant an entire article, but are still significant and important. Perhaps it's casting news, a contract detail, a set image, or something else that's more on the minor side, but is still definitely worth checking out and talking about. This is a time and place for all of us unabashed nerds to come together and talk about the things that we love so much in the movie-sphere. 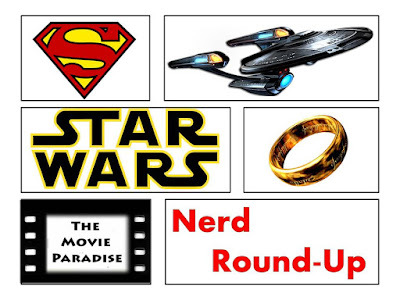 So, without further ado, let's get started with this week's Nerd Round-Up. It is being reported that The Dark Knight Trilogy and Man of Steel composer Hans Zimmer will be returning to comic book movies with X-Men: Dark Phoenix. Zimmer was also just nominated for an Academy Award for his work on Dunkirk last year. With Batman v. Superman: Dawn of Justice, Zimmer said he was tired of doing comic book movies, as he had done so many already. But I guess he's walking back on that now in order to do Dark Phoenix. Zimmer is one of my favorite composers working today. John Williams will always be first and foremost, but Zimmer is a close second. The work he's done is remarkably experimental, while still being conventional enough as to not be off putting. Really, the only score of his I haven't liked was The Amazing Spider-Man 2, and that's because he went way too out there with it. That score was just an absolute disaster. 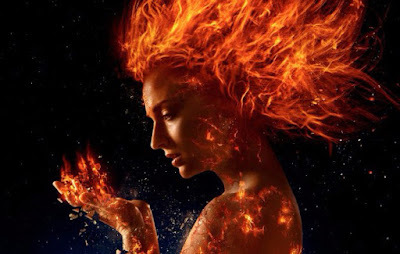 Look, the jury's still out on whether or not Dark Phoenix will be good. I'm not sure whether it's going to be spectacular or if it will crash and burn. But at least we know it will have a good score with Hans Zimmer behind it. We've known for a while now that Mission: Impossible 6 will be coming out this year, but we've known pretty much nothing about the plot or story. The only detail we've had about it is that Henry Cavill had joined the cast. 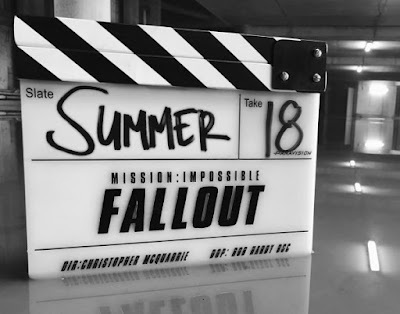 However, Tom Cruise took to Instagram to reveal the official title for the film, being Mission: Impossible- Fallout. I've been a fan of the franchise for the past couple of installments. I loved Mission: Impossible- Ghost Protocol, and while I thought Mission: Impossible- Rogue Nation wasn't as good as its predecessor, I still found it rather entertaining. And with Rogue Nation director Christopher McQuarrie returning for Fallout, there's no reason to think this one won't match the previous two's quality. As for the title itself, it doesn't leap out at you like the other titles have. It's a fine title, and I'm sure it will fit the story they tell adequately, even if it isn't great on its own. With this title announcement, however, I think it means we'll be getting a trailer soon. Soon could range from a couple days to a couple weeks, but I do think a trailer for Mission: Impossible- Fallout is now on the horizon as a result of this title announcement. With Brie Larson set to make her Marvel Cinematic Universe debut in Captain Marvel next year, filming has been happening for a little while already. However, pictures have now leaked from the set of the film revealing Larson in costume. The design of the suit is really cool, but the coloring of it is throwing me off. 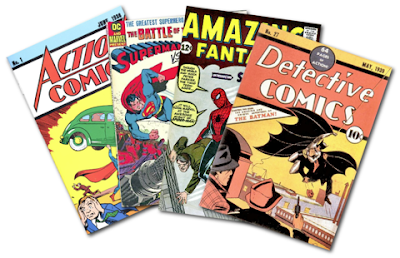 In the comics, Captain Marvel's colors are red and blue, not teal and blue. Now, the most likely answer to this is that this is one suit she'll be wearing, and she'll dawn her regular costume later on in the film. 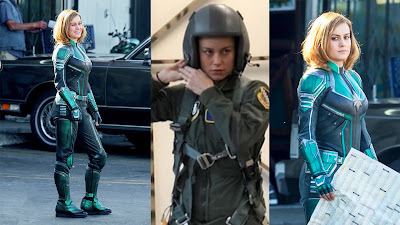 Or, since Captain Marvel is set in the 90's, this could be her costume for this movie and in Avengers 4 she'll wear her traditional suit. I don't really care how it ends up playing out, just so long as the suit pictured above is a temporary suit. Call me a traditionalist, but I really like her costume from the comics, and I would like to see that on the big screen more so than the one from the set pictures. We'll have to wait and see what ends up happening. So that's our Nerd Round-Up for this week. What do you think? What are your thoughts on the news articles? Leave your thoughts in the comments section below.